Take it to the limit. 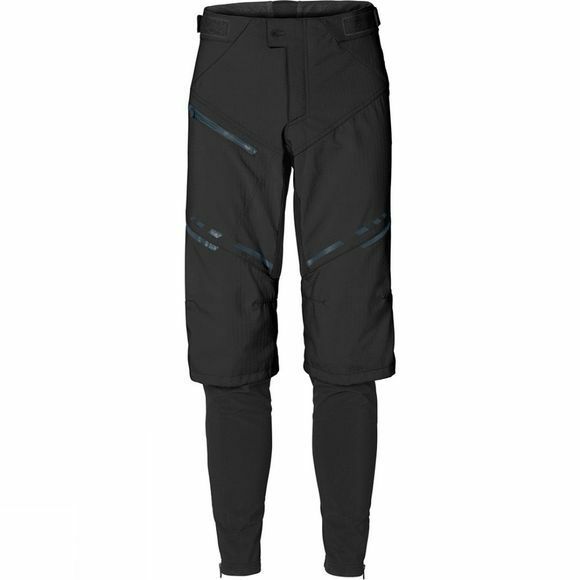 These technical softshell pants will get you there in comfort. The insulating, ecologically manufactured softshell material is 100-percent windproof and reaches just below the knees. 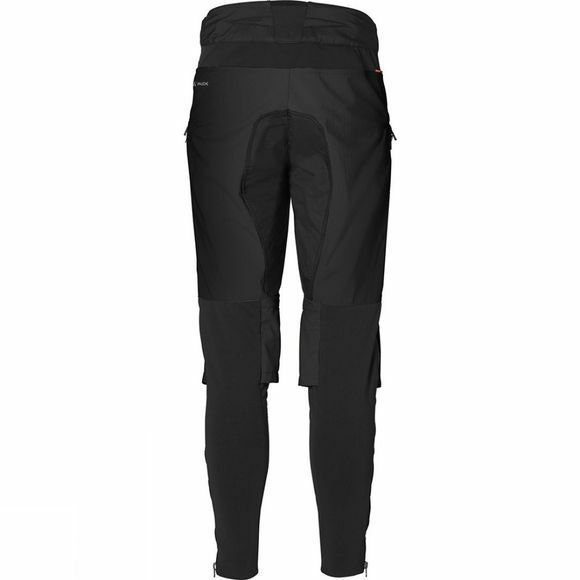 The closely contoured lower leg partitions are also windproof at the front and made with stretchy Lycra at the back. Side 2-way zips ease the in and out, allowing the use of shin guards and doubling as ventilation options when needed. An adjustable waistband cut higher in the back and designed with stretch inserts provides a closer fit and enhanced kidney protection. This product features Eco Finish, a flourocarbon free (PFC-free) textile finish that provides environmentally friendly water repellency.